The motivation for writing this book stems from two parallel, yet unrelated, scientific events that happened over three decades ago. The first was the rise of the self-organization paradigm in domains such as physics, mathematics and cybernetics (see Chap. 3 for details). The second, a split in the study of cities and planning that echoed, in fact, a split within human geography — a discipline that has played a major role in urban and regional planning and the study of urbanism. The split was between proponents of the positivist quantitative approach that dominated the field during the 50s and 60s and proponents of structuralist — Marxist and Humanistic (SMH) approaches that since the early 70s have dominated the field of human geography. 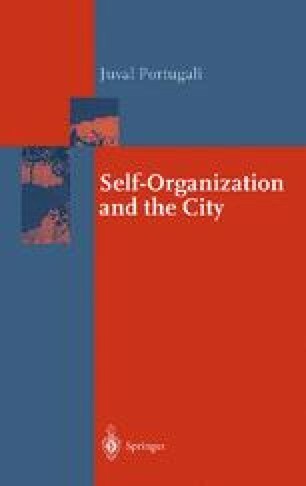 From the early 70s onward, as a result of that split, the study of cities and urbanism is conducted in two separated domains: one quantitative, often termed regional science and influenced by the exact sciences and their scientific approach, and the other ‘qualitative’, often referred to as social geography, and dominated by social theory and philosophy and their hermeneutic approach.